Our daily Geo Quiz is about sand storms over the Atlantic Ocean. The question is: where does the sand come from? Anchor Marco Werman gets the answer from Eric Achterberg, a researcher who's just back from a boat trip to study the storms. He says the sand comes from the Sahara Desert in Africa. The chaos in Chad has prevented European peacekeeping forces from deploying there and it's also raising more concerns about the long-delayed peacekeeping force for Darfur, as The World's Jeb Sharp has more. The answer to today's Geo Quiz is Zimbabwe, where you can get a 10 million dollar bill, but it will be worth less than 4 dollars. The economy is in such trouble there that inflation is at an unbelievable 26,000 percent. Anchor Lisa Mullins has details. The death of young activist and poet Shaimaa al-Sabbagh was caught on camera. She was among a group of Egyptians who were marching on the streets of Cairo, four years after the Tahrir Square revolution. 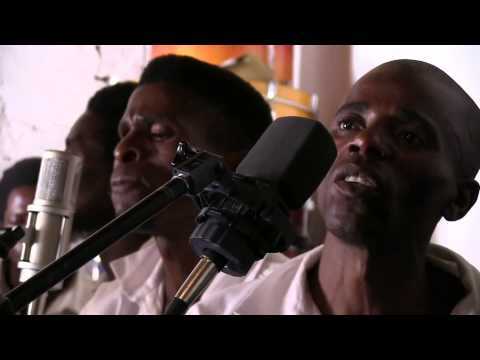 Music producer Ian Brennan set up a small recording studio at the Zomba Maximum Security Prison in Malawi and had the male and female inmates sing their own songs. Many of the tunes tell their stories of prison life. The Ebola outbreak in West Africa is slowing in some areas, but the crisis is far from over. And the virus' grip on the medical system in countries like Liberia means that people with other diseases or injuries often go without medical help. Distance runner Rita Jeptoo is a superstar in Kenya for winning marathons across the globe. But she's now serving a two-year ban for using the blood-booster EPO to cheat. What really happened in Baga, Nigeria, while the world was watching Charlie Hebdo? One reporter talked with survivors and realized that as the conflict spreads, dealing with the militant group will be an issue for the entire region. The wildly popular tweet was aimed at a nation that stigmatized all Africans during the Ebola outbreak. While the US government recommends all its citizens get inoculations, including one for measles, many states allow exemptions for personal or philosophical concerns. Immigrants, however, don't enjoy that choice. His humble proposal to screen Americans traveling to Africa for measles has been widely supported on Twitter. He explains why he wrote it and says the world has a ''one-dimensional narrative'' toward Africa. In Liberia, the first thing pupils do is have their temperatures taken. Schools had been shut for seven months after the Ebola outbreak. Coptic Christians across the world are responding to the news from Libya and the apparent beheading of 21 members of their faith. Some though, can't bring themselves to watch the new, and horrific, ISIS video.